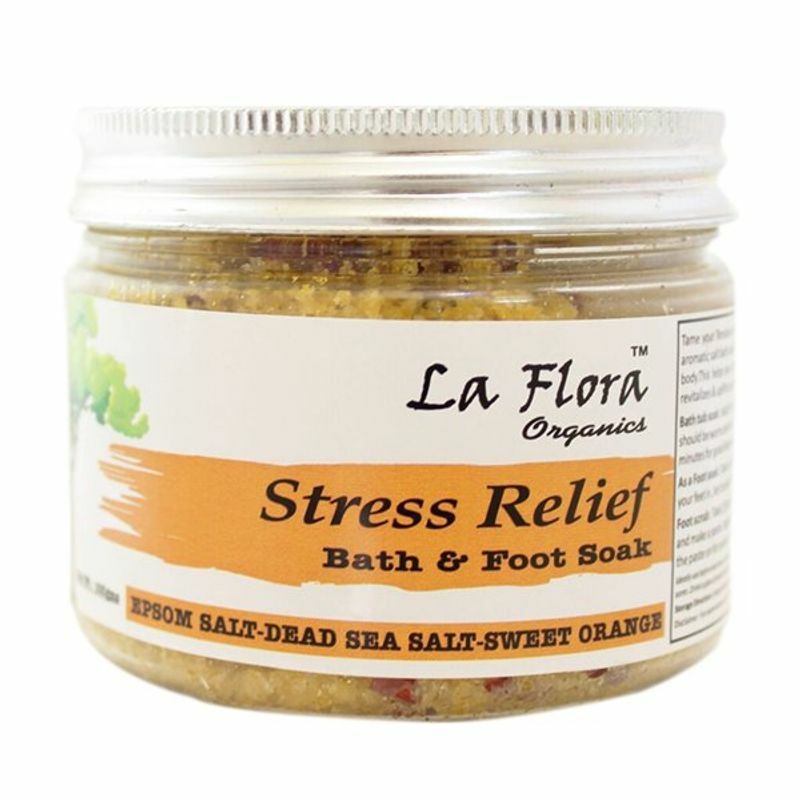 Tame tension and rejuvenate mind and body using this exotic, handmade bath salt by La Flora Organics.A great addition to your relaxation & detoxification regimen. A good way to cleanse your body, rest your mind, draw out toxins, balance pH levels and lower stress hormones. Solar vaporized Sea salts, when combined with warm water, help open up the pores , giving you a healthy and youthful glow. Dead Sea Salt has wonderful skin loving minerals and a luxurious treat to your skin. Epsom salt (Magnesium Sulphate) relieves stress and pain, help muscles and nerves to function properly and helps to restore Magnesium mineral levels in your system . While Baking Soda (Sodium Bicarbonate) alkalizes the body, softens skin. 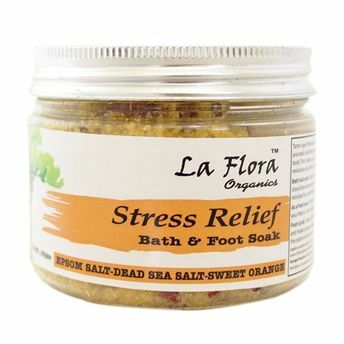 Organic Sweet Orange & Lavender essential oils refreshes, revitalizes & uplifts your mood with their special aroma.